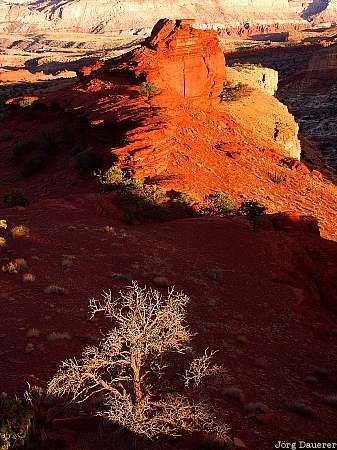 A rock and a tree in Capitol Reef National Park illuminated by the last light of the day. Capitol Reef National Park is in southern Utah in the western part of the United States. This photo was taken in the evening of a sunny day in late September of 2003. This photo was taken with a digital camera.